Pause the hurry of everyday life and think like an Italian. This relaxed, supremely stylish stove is smoother than the cream on your espresso. Fire it up and take a seat. It's an investment appliance, supplying your family home with plenty of comfort for years to come. 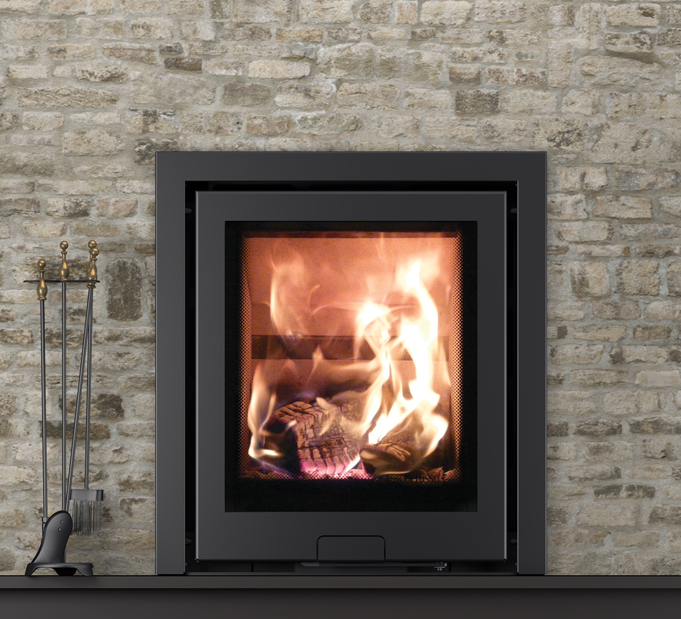 The R5 features our patented control panel that opens at a touch. This gives it a uniquely smooth profile, with an impressive modern look. The 3-sided version is designed to sit neatly on a hearth. It's a family-sized model with a great heat output and minimal smoke levels, not only improving your economy but reducing environmental impact. That's clever and beautiful; want to take one home?